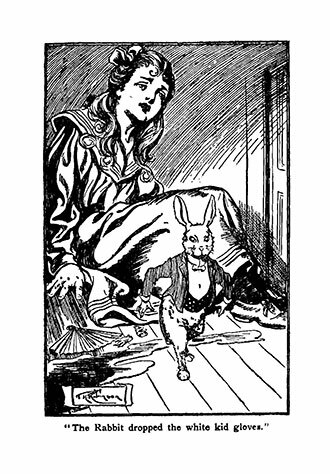 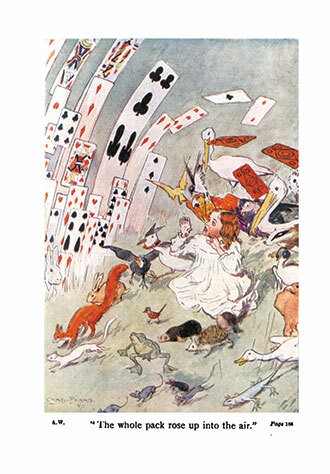 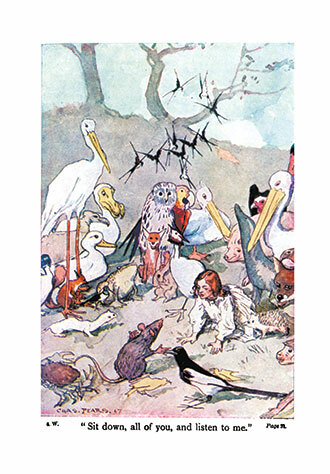 This edition of the ‘Alice in Wonderland’ story is illustrated by Charles Pears (1873 – 1958), and Thomas Heath Robinson (1869 – 1954). 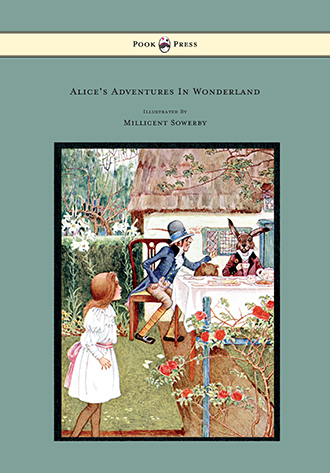 Both immensely talented ‘Golden Age Illustrators’, the two men collaborated on this work – producing a beautifully varied volume. 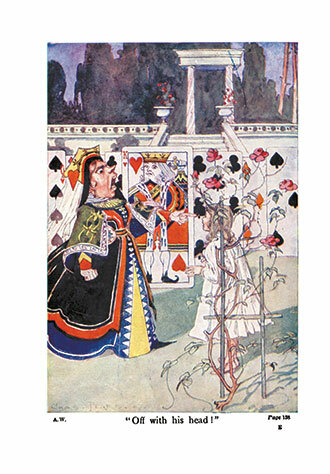 Charles Pears was famed as both a painter and illustrator, and contributed to many periodicals, as well as producing frequent ‘marine’ paintings. 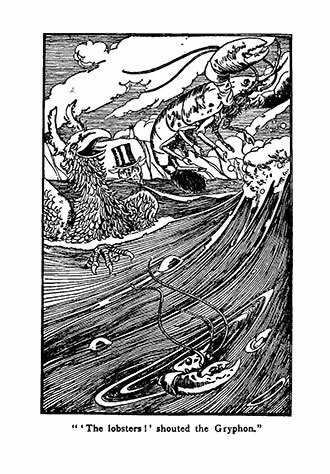 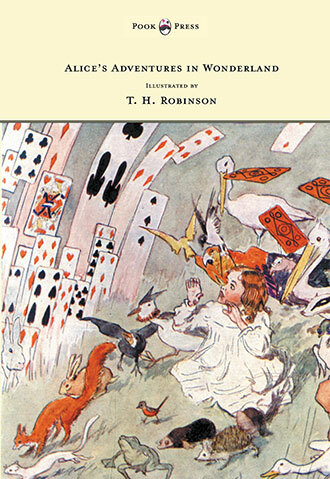 T. H. Robinson was the brother of William Heath, and Charles Robinson; all of whom became imaginative and highly-respected illustrators. 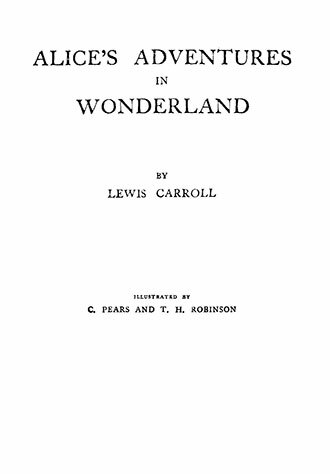 The artwork of Pears and Robinson is presented alongside the text – further refining Carroll’s masterful storytelling. 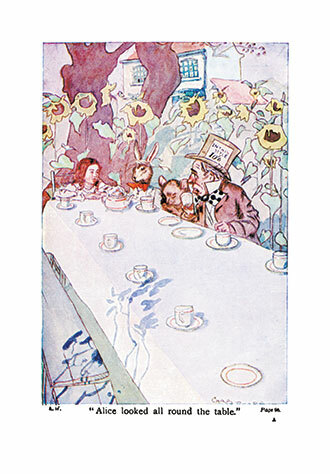 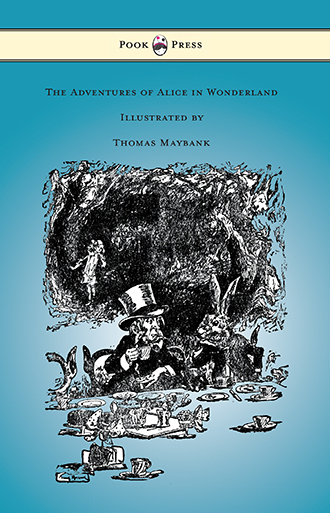 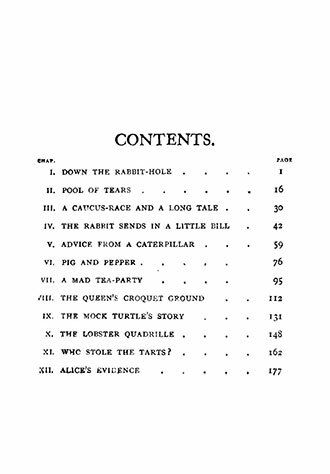 With works such as Alice in Wonderland – Illustrated by Charles Pears and T. H. Robinson, Pook Press celebrates the great ‘Golden Age of Illustration‘ in children’s literature – a period of unparalleled excellence in book illustration from the 1880s to the 1930s.